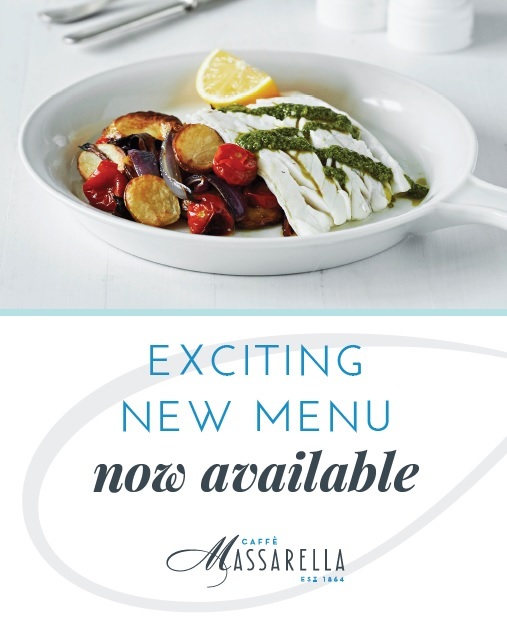 Meadowhall’s new menu drops today with a refresh of current dishes as well as new dishes added for our customers to enjoy. Make sure you pop over and try something new to tickle your taste buds! Some delicious options have been added to our menus, be sure to head over to our menus page to check them out! Caffe Massarella Meadowhall’s new menu launches Friday 17th March 2017. Stay tuned! We're passionate about great Italian food using only the best ingredients we can find!